What do you think about stories of people giving money and then they magically get back exactly the same amount or exactly double the amount they gave? After listening to so many stewardship sermons, i’ve heard so many pastors give a story where they would give $210 in the offering and magically they would get a check in the mail that was almost the exact amount that they gave in the offering. These kind of stories kind of twist my bones a little. Who am i to say that God didn’t do that? 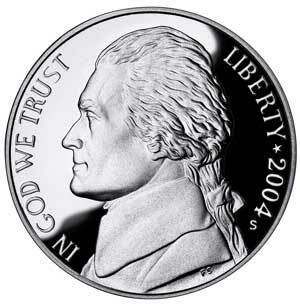 What evidence is there to say that God gave them almost to the penny what they gave to him? Hey, maybe if they had a little more faith, God might have given them the exact amount down to the penny, back. I don’t doubt that God rewards those who sacrifice for him. Maybe i get bent out of shape because i do not have a story where i gave such and such amount and God gave me back twice that amount through an anonymous gift. I guess i get annoyed at these stories because it gives me the idea that God is a slot machine. Here’s what i mean. Do these miracle stories happen every time you give? No. For the people that do tell these magnificent stories, it only happens to them once in a blue moon. But when it does happen, they love to publicly display this miracle as though God does this all the time. Its like when someone sits down in front of a slot machine. They keep popping in quarters and pulling the lever, time after time. Hey, soon enough, after enough quarters and enough time, you’ll hit the jackpot. Don’t murder me here or get me wrong. I know God provides miraculously for his children, but do you know how many people can give a testimony about them winning the jackpot? probably the same amount of people that can show how they got the same amount of money back in return that they gave. Hmmm . 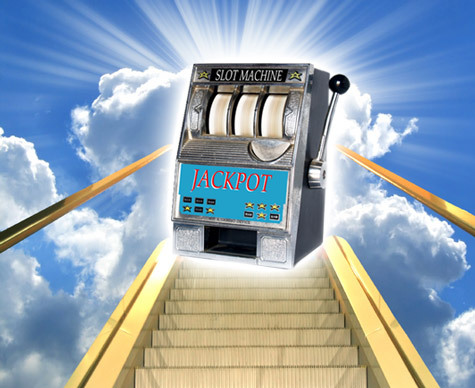 . . maybe God is a slot machine? Why is God So Selfish? This has been a re-collection of my true history! His Story! What a trip!! I can’t believe i’m still alive haha. I guess i’m learning to count my blessings and not my problems. LORD knows i’ve been counting those far too long. I think you have me confused with Jared. I am the owner of this blog, and yes my name is Jared also. But i am not the one with whom you’ve been speaking with. Post your link anywhere. Thanks for taking the time to write everything. Wow! 2 Jareds?? That would confuse antone..wouldn’t it? Yea, the subject is about ..well..the title. I want to put it in right thread.I’ll go copy and pastre here. 19And it was told Saul, saying, Behold, David is at Naioth in Ramah. 20And Saul sent messengers to take David: and when they saw the company of the prophets prophesying, and Samuel standing as appointed over them, the Spirit of God was upon the messengers of Saul, and they also prophesied. 21And when it was told Saul, he sent other messengers, and they prophesied likewise. And Saul sent messengers again the third time, and they prophesied also. 22Then went he also to Ramah, and came to a great well that is in Sechu: and he asked and said, Where are Samuel and David? And one said, Behold, they be at Naioth in Ramah. 23And he went thither to Naioth in Ramah: and the Spirit of God was upon him also, and he went on, and prophesied, until he came to Naioth in Ramah. 24And he stripped off his clothes also, and prophesied before Samuel in like manner, and lay down naked all that day and all that night. Wherefore they say, Is Saul also among the prophets? 1And David fled from Naioth in Ramah, and came and said before Jonathan, What have I done? what is mine iniquity? and what is my sin before thy father, that he seeketh my life? The question has come up. Can a man of God operate in the flesh and yet have the blessing and anointing of God in their life? Can they display the workings of the Holy Spirit one time and operate like the devil himself at other times? Or worse yet. Can the man of God or teacher or preacher speak with the Holy unction and at the very same time speak falsehood while under that unction? King Saul was a man after the people’s own hearts. They had refused God’s desire and divine purpose which was to be their King and Lord personally. They wanted a man they could see and touch. One they could lavish their love and praise upon. God told Samuel to give them what they want. Give them their heart’s desire. But at the end of the day, they’ed wish they had made a better decision. God even warned them about their folly in chapter 8. Saul took his armies to battle and won victories right and left. God surely must be pleased with the ‘new program’, right? Wrong. It still wasn’t God’s perfect plan or purpose. We have today, what I call, a ‘church gone wild’. 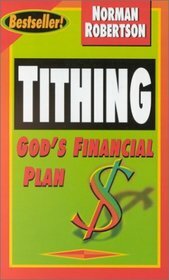 Tithing, titles and tiers, and might I add, tears. Tears of those who are suffering under an abusive system of control, greed and arrogance. And yet God does tend to His out of sinc flock inspite of 1700 years of ignoring the N.T. plan and mould for the ‘body elect’. Even as Saul was NOT God’s desired progam, yet His helping hand remained upon Israel. In these few verses we read about a very evil, arrogant and envious man who God appointed over Israel only because of their rejection of God’s position in their midst. The time did finally come when God said ‘enough is enough’. He was about to replace Saul with David, a man after His own heart. David was anointed and humble. Disinterested, only caring about what God wanted. This drove Saul nuts with rage and jealousy. We all know the story here. But look at this. Saul sent his messengers to find David and take him captive and bring him to Saul so he could destroy him. This leaders closest companions had no real problem with this. But when they came upon Samuel and the prophets prophesying, the Spirit of the Lord came upon them and they spoke under the unction as well. They returned unto Saul and told him that the Holy Ghost had come upon them and they had a mini revival. Saul sent other messengers two more times with the same results. Yet we do not read where these compadres had any change of heart about their mission. Finally Saul made the journey and when he arrived the Holy Ghost came upon him as well and he prophesied all night long. What a gloroius time in the Lord. What power displayed. Yet this man never reversed his plan to kill humble David, to rid himself he thought, in so doing, of conviction. David flees to Johnathan crying [my paraphrase] ‘ What have I done? 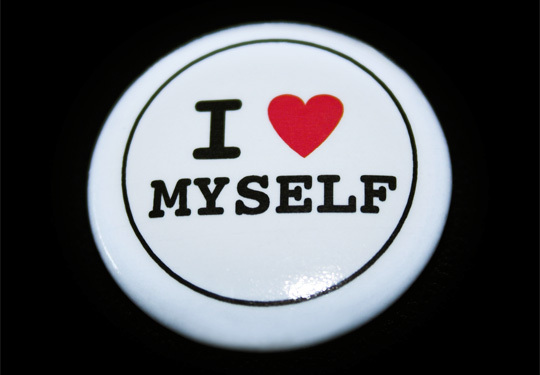 What’s wrong with me that God’s appointed leader doesn’t like me or want me around? I have honored him. I have behaved myself in humility around him. I have surrendered all to my God…I have…” Uh Oh!! There it is. A sure plan of action for rejection by God’s anointed leader. This has not changed, trust me. I have witnessed this first hand many times in the modern institution we call ‘church.’ The more humble you become, the more surrendered to God you strive for, the more anointing you obtain, the more proof you make of your ministry, the more cold shoulders from the hiearchy of organized religion you will witness. So the premise of this piece is, can the true anointing be in play while a heart full of wickedness is still maintained? According to what we just looked at in the story of Saul, the answer would be yes. Can the same scenario exist today under the new covenant? My opinion would be yes, definitely. Once I began to seek out the word on some of this and re-evaluate the whole ‘church’ scene, including the glitzy movie star preacher paradise of gospel T.V., my conclusions do tend to substantiate the affirmative on this. Anymore, it is simply a given. So out of the closet is this behaviour that it leaves little room for doubt.